The first foray into meditation research came with Herbert Benson and a biometric understanding of the physical state of meditation. His book The Relaxation Response, published in 1975, described his understanding of meditation as a physiological phenomenon. Benson’s work enabled meditation to be taken seriously by the medical and scientific community who were otherwise sceptical of “Eastern” disciplines and philosophies, and sparked the academic discipline of research. More recent research on the connection between meditation and neuroscience, and meditation and brain plasticity, may be more interesting to the traditional meditator. The great benefit of a scientific understanding of meditation is two-fold: it has put meditation into the realm of acceptability in a cynical age; and it has endorsed meditation as a practice that brings changes to personal life that have been described for many generations- eg calmness: see this research discussion in Scientific American. The downside is also two-fold: on the one hand, these changes indeed have been known for many generations. The research has not given the community anything new other than to add another step in the description. What has been known for centuries, or millennia, is now attributed to changes in the brain… but those changes themselves are attributed to meditation practice. A bit circular… and much of the potential depth of meditation is lost in applications that miss the point of what started it all. It has been pointed out that the benefit of this additional step is the fact that brains are all the same, just as the structure of the lower leg is. All humans have the same sort of brains and the same brain structures, with minimal individual differences. This does mean that factors making a difference can be isolated, whereas differences in individual emotional reactions can only ever be anecdotal. Nevertheless, there is still another downside of research, and that is that the researchers are often not long-term, still-mind meditators themselves. While this might give an appearance of impartiality, what it can and probably does bring about is a gap of understanding in the scientific approach. If a meditator reaches a no-mind, no-self state, and their experience of self and the world changes fundamentally, current research methodology is a blunt instrument to explore the ineffable. Opinion will simply state someone’s view, without any support for it. Some who give their opinions of course may have a substantial background of experience and expertise in what they are discussing, and may offer valuable wisdom. Or their opinions may not be wise at all. Opinion-givers ought to be willing to show why their opinion is worthy of attention. Populist publications are generally written for those who do not want to or do not know how to read scientific research. Some may be solid and point to research, though the material is simplified and easy to read. Others may be entertaining publications with poor reliability. These and others like them would give good information without you having to read the research itself. They are reliable because the submitting authors are science professionals themselves. New Scientist: Science journalism that will expand understanding, and describes research in easy to read terms; references to the research might be given too. These are more for entertainment than information, and the articles are usually written by journalists who do not have expertise in the topic they are writing about. Examples are those like Women’s Day, the Sunday Magazine of newspapers, and such like. Magazines that would also be unreliable from an information perspective are those pushing a particular agenda, or supporting a single view point (or bias) and arguing for it. In such cases, science data that would counter their point of view is suppressed, rather than being taken into account. A major difference between meditation opinion and meditation research is that opinion generally rests on conclusions reached from personal experience. For instance, someone might say “I like hanging out with meditators – the ones I know are easy to get on with”. The person might tell a story or two from their experience, using anecdotes to illustrate their point. Research requires as many subjects as possible who meet criteria (eg long term meditators), and compares them on specific factors –areas of a brain scan, for instance – with controls (people who don’t meditate, for instance). Measuring them generates data, that is, raw numerical scores on each factor for each group. In its raw form, the data doesn’t tell us much. To be useful, the data has to yield statistics. Meditation research findings are statistical. That is, the information gained from the study must show confidently that the control group (non-meditators) really are different, on the factors measured, from the meditators, and that the difference is not just by chance or by incidental issues such as social group. This statement of confidence is what makes the finding reliable. Something else that is excellent about scientific meditation research is that no one sets out to prove anything, except insofar as to test for differences. The starting premise is negative. An example would be that “there is no difference between the brains of meditators and non-meditators”. If the statistical result confidently shows a clear difference between the two groups, the true outcome is that it is highly unlikely that the research has discovered a chance discrepancy between the two groups… and therefore, it is highly likely that the meditators really are different because they meditate. Still not quite incontrovertible proof about the meditators. What has been demonstrated is that the null hypothesis, that there is no difference, is unlikely. In fact, research that is poorly regarded would include research that mistakenly did set out to prove something, rather than starting from the null hypothesis. If a meditation school, for instance, set up research to “prove” – meaning in this case to achieve vindication – that their mantra was the factor that was efficacious in helping people with anxiety, for instance, you can see the possibility for bias – while research set up with the null hypothesis are less liable to bias, because the focus is on establishing a model of “no difference”. In fact the word “prove” has its origins in notions of testing something, rather than vindication of an opinion. Another aspect of scientific meditation research is that the findings are expected to be the same if other researchers repeat the method. That is why research reports give every (sometimes tedious) detail of what they did, from selecting subjects, to the methods they used and the analytical tools they employed. Everything is on the table! Materials and Methods – gives detailed information on how the study was carried out, including how subjects were chosen, both for the experimental group and the control group; and the experimental treatment of the subjects; and any external materials required. This section also mentions the statistical method chosen to analyse the data that is generated. Results – Includes the statistical analysis of the raw data. The result gives the level of confidence that there is a difference between the control group and the experimental group. The acceptable level is that statistically, the difference is at least 95% more likely than unlikely, therefore, not arising by chance. Discussion – This area of the report comments on the implications of the finding, and suggests where further research could be of benefit. For instance, if mindfulness practice is shown to reduce the perception of pain, then…? References – Most research papers add a long list of references of prior research, a goldmine for anyone wanting to explore the topic more deeply through established research. True research articles are to be found in professional journals, eg The Journal of Neuroscience. Try typing “meditation” into the journal’s search function. You will get a tantalising list of real research. You then have a choice to read the entire research report, or to read the abstract. The abstract is a great time saver. The abstract will tell you briefly what the researchers did, who the subjects were, what the research found, along with a very brief pointer to the implications. It is a way to access the reference details – authors, institution, journal, volume and date – and to get findings in a nutshell. Here is an example of various abstracts, provided by an educational institution to help research report writers: https://writing.wisc.edu/Handbook/presentations_abstracts_examples.html. “Meta” research is a review of large numbers of published research reports, which gives an account of the state of understanding in a particular field. This is a neat way to see a quick overview of research. Sometimes meta-research might include a critical analysis of research included, or it can be quite simple and summary. Here is an example of a simple summarising, meta-account of research on meditation and brain plasticity. Early in digital history, journal articles were free. Then they became fee-based, but the abstracts, a short summary of what was done, how and why it was done, and the outcome, were free. Now even some abstracts may attract a charge. It is a matter of searching till you find what you want. If what you want is only available online as pay per view, there are other ways around it. One way is to hang out in any university library and read directly from prestigious journals. If that is not your scene, another free source is PubMed, an arm of the US National Institutes of Health (NIH). Surprisingly, much does appear there, all free. Or, you may be interested from a specifically psychological point of view: try this link to an all psychology resources site. Other websites may offer free research articles – some of which may or may not violate copyright – and some might be from online publishers whose criteria for publishing research might not be as stringent as those of the most prestigious institutions. Be careful of what you look for. 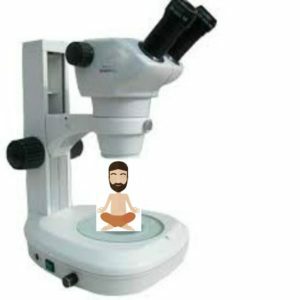 Who wouldn’t love scientific meditation research? Of course it is trustworthy, in a way that other comments about meditation cannot be. The elephant in the room, though, is that research is based on preconceptions. A research model cannot be set up without a conceptual framework of how one group might differ from another. To state the obvious, no one knows what they haven’t conceived of, and so cannot test for it. That is a hiatus in scientific meditation research. This entry was posted in Article, Meditation, Meditation Research, Mindfulness, Spritual Realism and tagged article, Herbert Benson, Meditation research, science and meditation. Bookmark the permalink.